Legos are the ideal toy for acting out imaginary scenarios—like one in which the Supreme Court has gender parity. 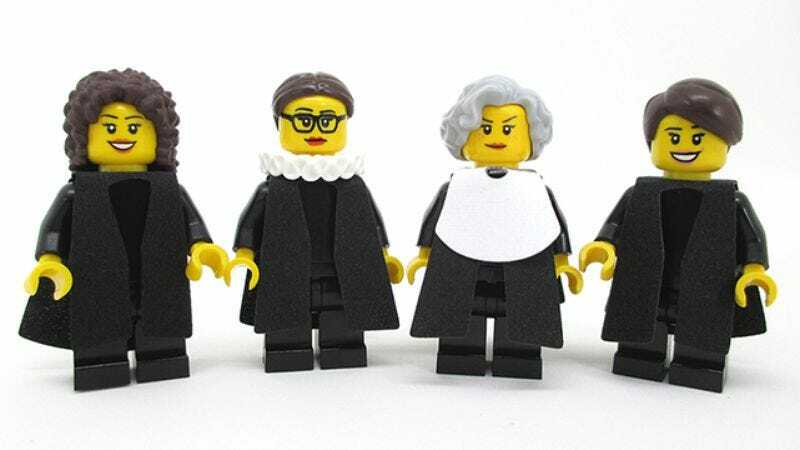 Now editor and writer Maia Weinstock is doing just that with her Legal Justice League Lego set, which includes all four women who have served on the Supreme Court. Sadly, however, the Legal Justice League set isn’t for sale. While she did submit the concept to the fan-based Lego Ideas branch, Weinstock explains it was rejected on the basis of the company’s “no politics or political symbols” rule. That means fans will just have to imagine the fun they could have had filling out the ranks of their all-female Supreme Court with Lego Princess Leia, Hermione Granger, Wonder Woman, Elsa, and Arwen.